Independent Players actively promotes interest in and support of theatre in Elgin, the Fox Valley and the northwest suburbs with adventuresome and entertaining programming and continually seeks to grow as an organization through productions of plays and musicals, service, education, fundraising, audience development and program enhancement. With over 40 years of performances, Independent Players continues to entertain audiences with amazing shows every season. Performances are typically held at the Elgin Art Showcase in the Professional Building. 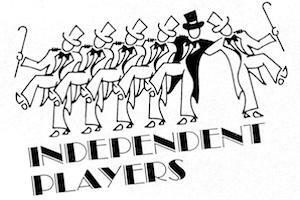 Independent Players was founded in the summer of 1978 by two young Elginites – Tom Kanies and Nancy Potter – and their high school drama teacher Don Haefliger. Its primary goal from its inception was to bring to the Fox Valley Area a brand of theatre that was completely different from anything produced by other local theatre companies. It would produce new and classic plays and musicals, many of which were only being produced by larger regional theatre companies. Throughout the years that elapsed since its founding, it has continuously done exactly what it set out to do. Today the only remaining founder is the high school drama teacher, but over the years, many young people have joined with adult actors in a wide variety of plays and musicals. Over the past 40+ years, one thing that has remained constant, is the fact that it consistently brings seasoned veterans together with new talented actors, directors and technicians to produce great performances of many exceptional plays and musicals (such as Jesus Christ Superstar, A … My Name is Alice, I Do! I Do!, Cole, They’re Playing Our Song, Anything Goes, Dames at Sea, Still Waiting, Do Black Patent Leather Shoes Really Reflect Up?, The Club, Working and The Island of Dreams). In the future, IP plans to investigate creating a core acting company, members of which will have a voice in selecting plays and musicals for each new season. It will continue to engage young talented theatre artists to be more actively involved in the company, and to, perhaps, eventually establish a Youth Troupe. It may also occasionally present world premieres of plays and musicals, something it has long wished to do.